One of the most popular pilgrimage centers, Tirupati is situated in the Chittoor district of Andhra Pradesh. Located beautifully at the foothills of Eastern Ghats, Tirupati enjoys proximity with many important cities such as Chennai (159 km), Bangalore (250 km) and Chittoor (65 km). This temple town is popular amongst Hindu devotees, captivating people not just from Indian subcontinent but from all across the world. Also known as Tirumala, Tirupati is world famous for its Sri Venkateswara Temple. Even the name of this place reflects divinity. The name ‘Tirumala’ comes from Dravidian language, according to which, ‘Tiru’ means Holy while ‘Mala’ means hill or mountain. Devotees visit this temple to seek blessings of the Lord Vishnu, which is located on the seventh peak, Venkatadri Hill. Thus, the temple is also known as “Temple of Seven Hills”. A tour to Tirupati is a must if you wish to have a spiritual trip. However, to plan a perfect trip you are required to have access to all the basic amenities and facilities. 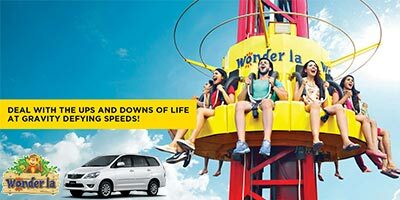 You need worry now as we at Holidays DNA have come up with various tour packages from the city of Hyderabad, ensuring a comfortable travel to all the travelers. 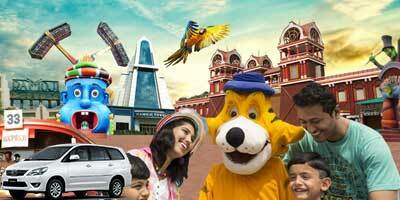 Our travel experts have carefully designed Hyderabad to Tirupati Tour Packages. These packages are designed in such a way that they cater to everyone. Whether you are looking for a budget holiday or a luxury trip, a family holiday or just with your partner, we have tour packages suiting every requirement and budget limit. 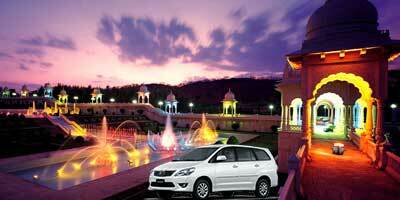 You can choose any packages to enjoy a hassle free tour to Tirupati. When you book a Hyderabad to Tirumala Tour Package with us, then you are assisted with a wide range of facilities and services. Some of the facilities which are offered to our customers are reservation at an accommodation of your choice (hotel, resort, lodges); booking tickets for transportation (train, flight, bus, taxi), booking of cab for commutating within the city, etc. Along with this, customers are also offered with various kinds of basic information on the place they are visiting. Reaching Tirupati from Hyderabad is not at a difficult task as both the cities are well connected via all the three modes of transportation. 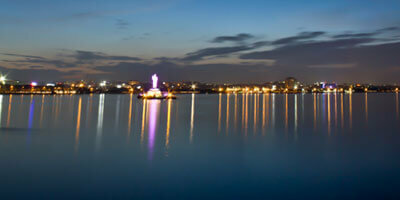 There is an airport at Tirupati which is well connected to Hyderabad via various regular flights. Various airlines such as Air India and Jet Airways and others fly between both the cities at economical rates and at regular intervals. Hyderabad and Tirupati are well connected via railways too. There are direct trains from three stations of Hyderabad namely Kacheguda (KCG), Hyderabad Decan (HYB) and Secunderabad Jn to Tirupati. So you can travel with comfort and ease even in low budget. The distance between Hyderabad and Tirupati is approximately 556 km. This distance can be covered within 7 hours and 50 minutes. 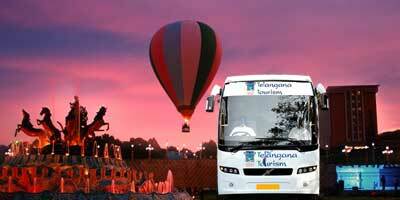 You can travel to Tirupati by buses (a/c buses and non a/c) which are easily available. If interested you can also hire a taxi and travel at your own pace.